We offer safe and competitively priced fun for you and your family. In our inventory you will find interactive inflatables in all age ranges. 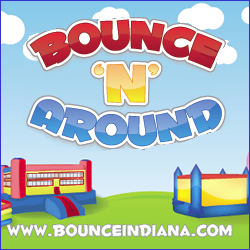 We have something for everyone: Bounce Houses,Boxing Rings, Obstacle Courses, Combo Units, Water Slides, Slip and Slides, Sumo Suits, Bungee Run, Sno-Cone machines, Cotton Candy machines, and games too. We are insured and have the SIOTO safety certifications.